Between Christmas and New Year’s, Hubs and I enjoyed time off of work and the gracious hospitality of the city of Franklin, Tennessee. There are so many lovely things about this community from the history to the food to the Southern hospitality, so I’m going to break our experience down into a couple of different posts. 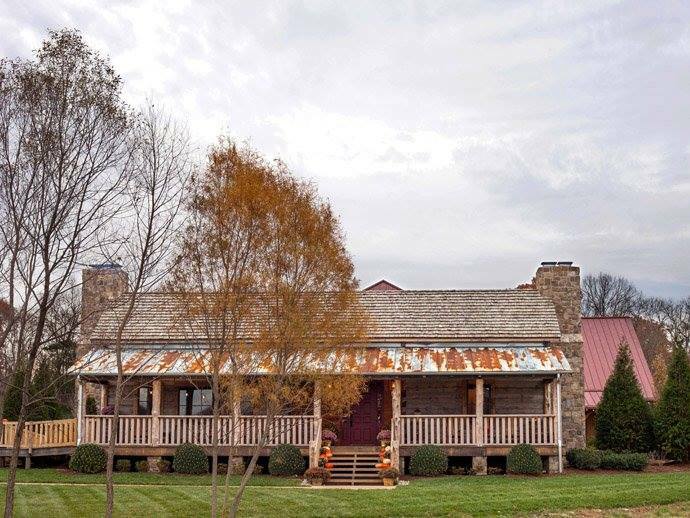 Let’s start off with the village community of Leiper’s Fork. 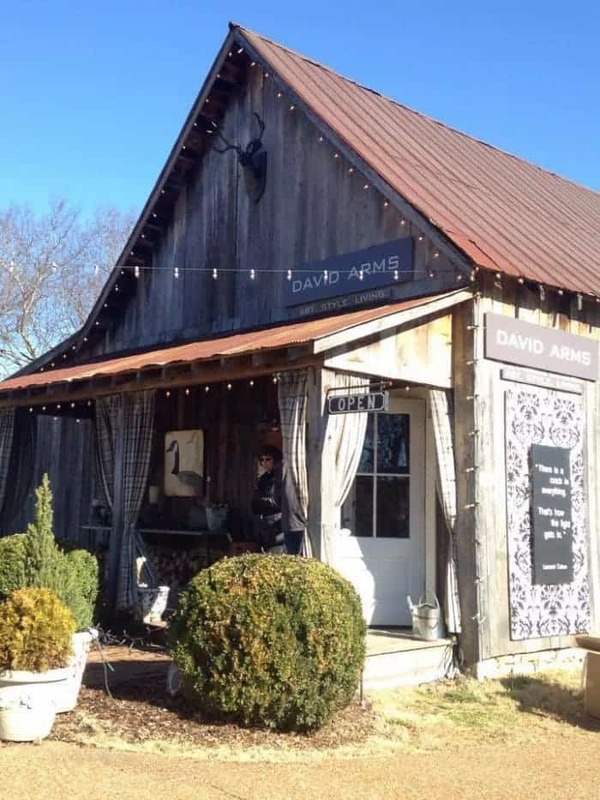 If the South had a front porch, I’m convinced Leiper’s Fork would be it. It’s one of the few places you feel relaxed enough to share stories and experiences with strangers right off the bat. It’s certainly the only place in the world where a local might plop a lamb down in your lap and ask for your phone. You won’t hesitate because you know he intends to help you create a memory in this charming place and has no agenda to steal your iPhone! We were fortunate enough to make Picker’s Cottage from Pot N’ Kettle Cottages our home away from home during out visit to the area. 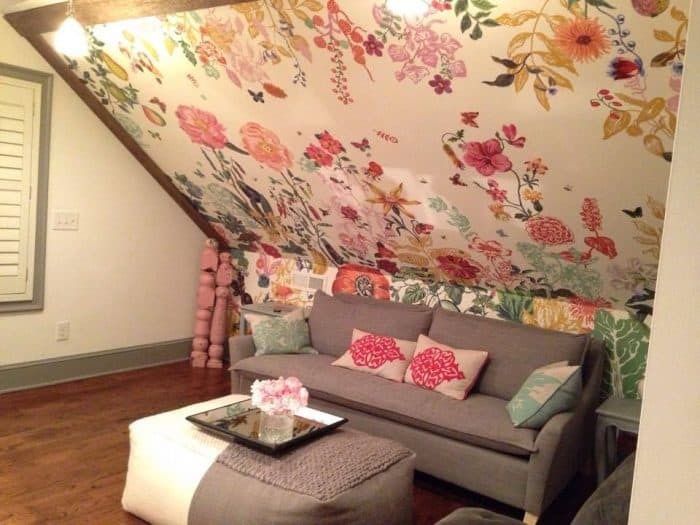 I’m not sure I’ve ever stayed somewhere quite so charming! 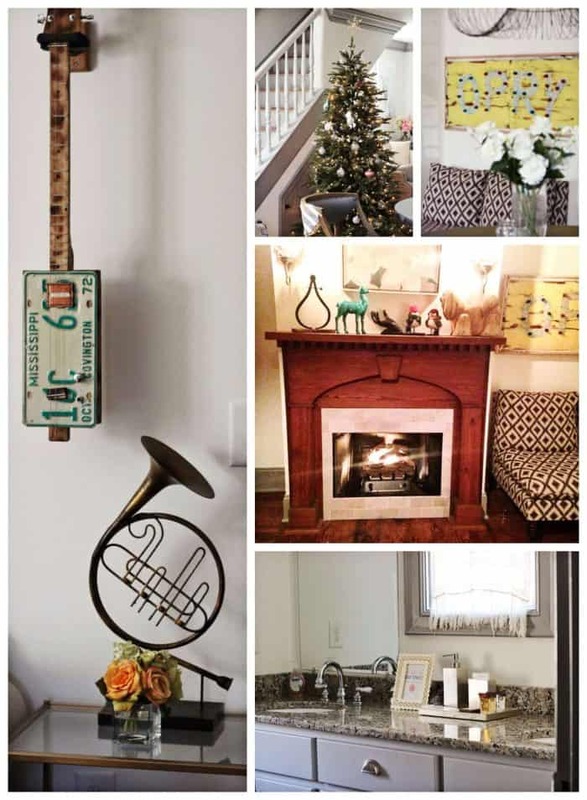 Walking into Picker’s Cottage feels like taking a step into Southern Living Magazine. 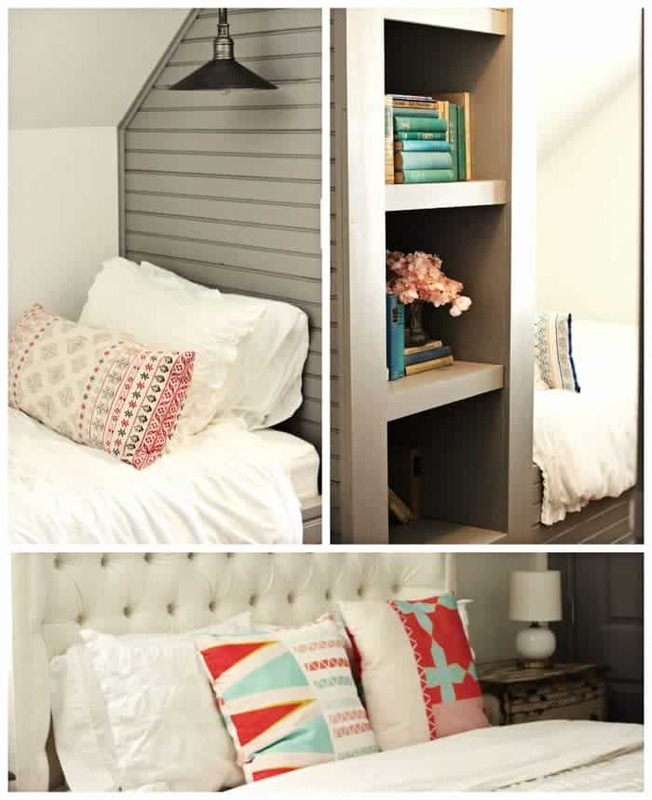 Because of this cozy room with twin beds, I almost felt guilty not bringing the kids along. Almost. Picker’s Cottage is perfect for up to 9 guests or just as a romantic getaway spot for two. 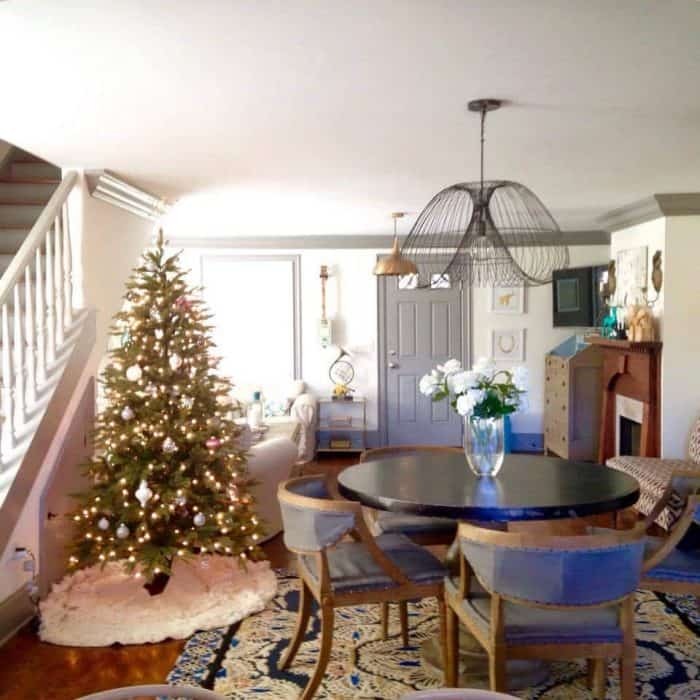 With free wi-fi and a full kitchen, you may never want to leave! 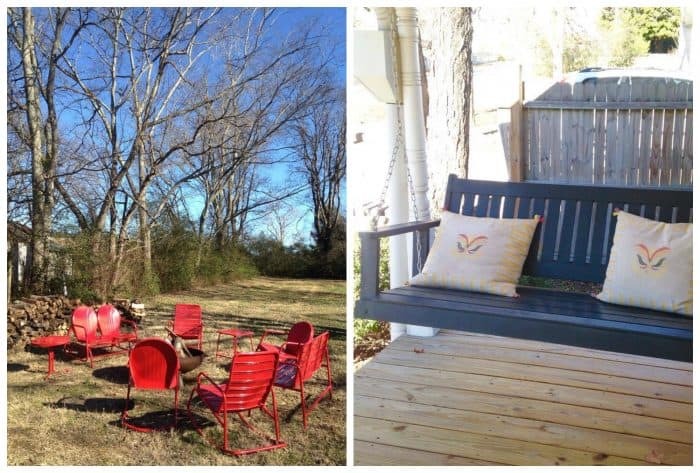 Situated on 3/4’s of an acre, Picker’s Cottage allows plenty of space for the kids to get outside and roast marshmallows while mom and swing on the porch swing. 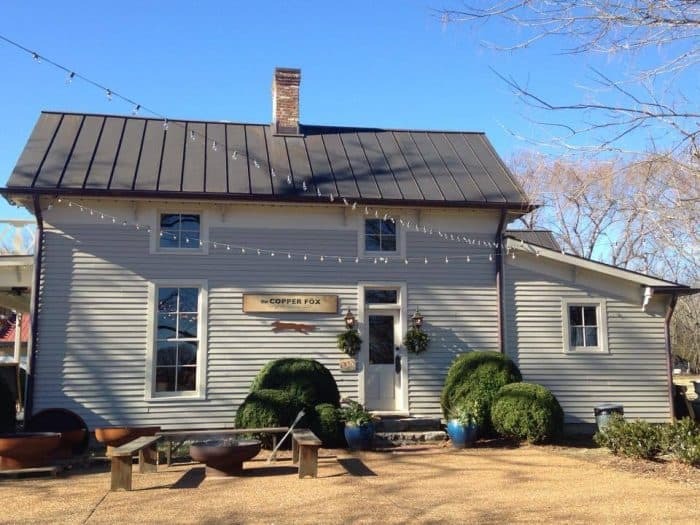 Art galleries and shops abound in Leiper’s Fork and Picker’s Cottage is just a short walk to them! 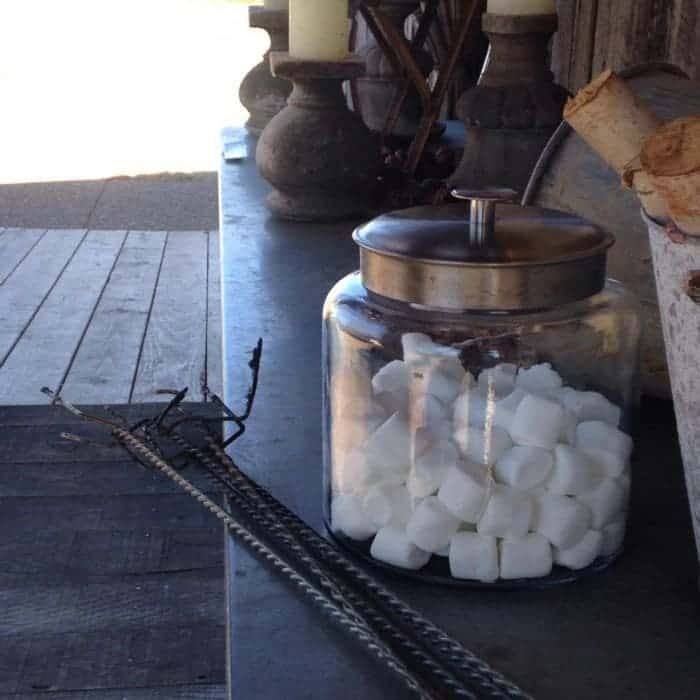 Marshmallows for roasting are provided! I wanted to buy all the things inside The Copper Fox. I did wind up buying a hand-stamped spoon necklace at The West & Company while Hubs made himself at home. 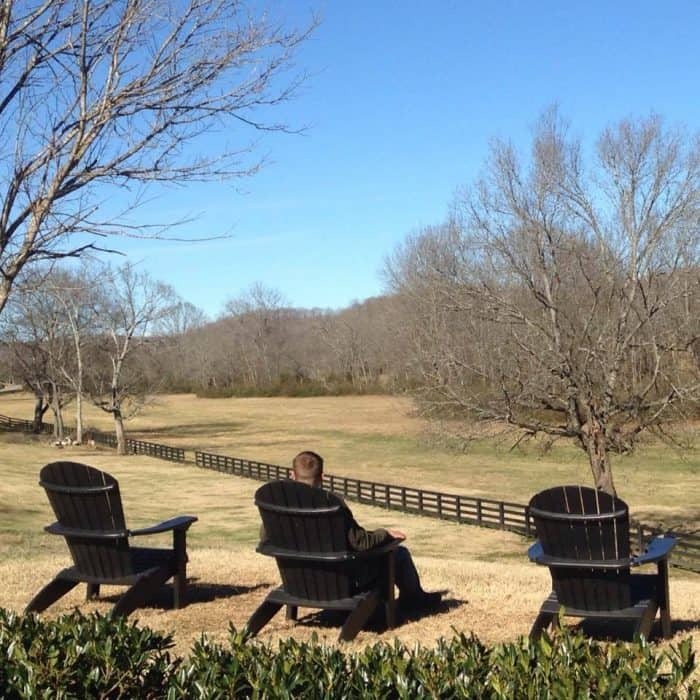 If whisky is your thing (Or even if it isn’t, you are after all in Tennessee!) 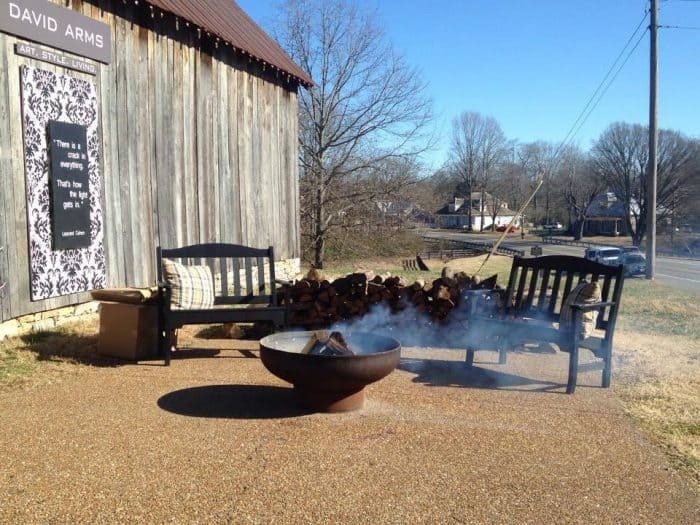 stop by Leiper’s Fork Distillery for a tour. By this time you’ve probably worked up an appetite and are ready for some grub! 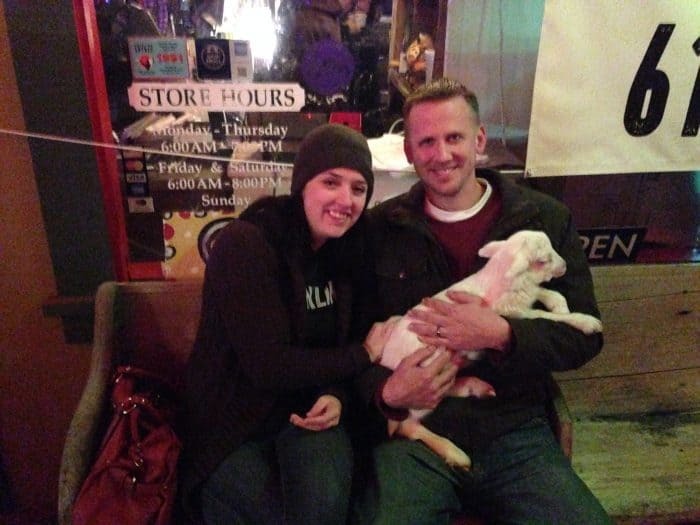 Puckett’s has already made an appearance (the lamb’s name is Chorizo, by the way) and it’s a hot spot in Leiper’s Fork. There’s live music most nights and while seating is generally on a first come, first serve basis, it was so crowded between Christmas and New Year’s that they accepted reservations for Thursday night open mic night. That left us out of luck for food but as you can see we were quite entertained on the front porch. If you’d like to experience Puckett’s to the fullest, it’s best to call ahead to see if they are accepting reservations or if you need to stake out early in the evening. 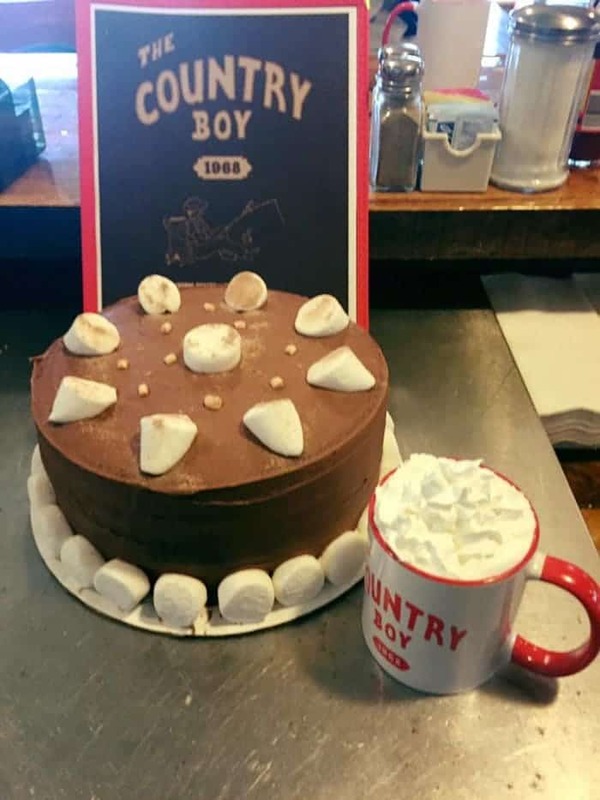 JT himself has mentioned eating breakfast at The Country Boy, but they have a whole lot more to offer. I feel like I missed out by not eating a slice of hot chocolate cake! That just means I’ll have to return for another visit soon. Accommodations and other consideration was provided to facilitate this post. All opinions are my own. « Game Day Snack Hacks!